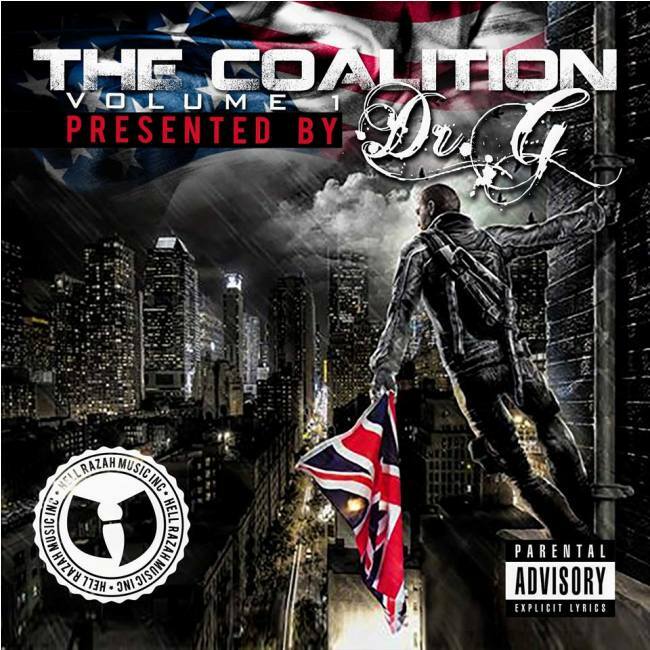 ‘The Coalition’ presented by Dr. G, is a producer compilation album that features some of the biggest US names in the Rap Game. Dr. G, if you haven’t heard of him already, is a Manchester based producer who has worked with numerous credible UK & US acts. Dr. G is a name you need to remember and after checking out this album you will understand why! Lately Dr. G has been making some serious moves and gaining notoriety by getting attention from the likes of Hussein Fatal, Inspectah Deck, Canibus, KRS-1 plus many more, while also supporting independent artists like Chox (Chose) Mak, M Dot Baggz, Saigon and Mark Deez to name a few. Making this the perfect opportunity to compile some of his favourite tracks and present himself to the world as a serious Hip-Hop producer along with some impressive lyrical content. In a compilation album that represents the 1990’s era of Hip-Hop with cuts and scratches by DJ Rolex and DJ RytMic, through to his amazing production skills, ‘The Coalition’ is a true Hip-Hop record through and through. An inspiring and great debut, this is a ‘must have’ for any die hard Hip-Hop fan, and is available digitally and hard copy CD from the links below.